Losing gracefully is hard. Winning gracefully ain't easy, either. A 29-year-old man in Fukuoka never learned the latter it seems. 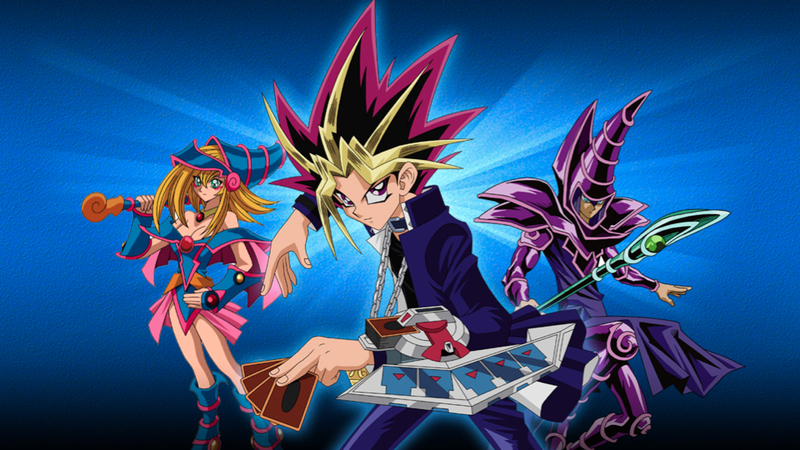 According to Sponichi Annex, the man was recently playing the Yu-Gi-Oh! card battle game against an 11-year-old boy in a card shop. After the man won twice, the sixth grader got up to leave. Apparently, the man asked, "You're running away? ", causing the boy to fling the cards off the table. Then the 29 year-old then allegedly grabbed the kid by his collar. The boy suffered light scratches to his face during the altercation, and the adult was soon crowned "The King of Jerks". The 29-year-old was then arrested for attacking the kid, teaching us all an important lesson about the hard-nosed world of Yu-Gi-Oh!. It's the kid's fault for flinging the cards off the table. The dude was just protecting his property! No it was the fault of the 29 year old man for antagonizing an 11 year old boy and expecting him to not act in that way. Then to make matters worse he then proceeds to act like a 5 year old and man handles the child. If he really cared about the condition of his cards he would never have provoked the child like he did. VERY childish behavior. @Banefire you can't really say that, you don't know HOW it was said. He could have jokingly said "Running away?" or he could have violently shouted "Running AWAY?!?" or just politely enquired confusingly "oh, you're running away?" It doesn't matter in the slightest how it was said. He taunted an 11 YEAR OLD BOY, and then assaulted him. There's absolutely no excuse for that. It's the child's own fault for thinking that a child could ever play a children's card game. It would have been better if he yelled "You activated my trap!" Before grabbing him. "I banish you to the Shadow Realm!" The 29 year old really should have just kept his mouth shut and let the kid walk away, honestly a "Good game." wouldn't have been that hard to utter. Depends how much the cards cost- I would shoot the kid out of a cannon for the right price. Those child grabbing classes were worth every penny. Whenever you feel bad about your own life, it helps to read stories about people like this guy. Then you think to yourself: "At least I'm not a loser who plays anime card games with children then beats them up."